Each fall ISEN partners with the student group Northwestern Energy & Sustainability Consortium (NESC), as well as corporate sponsor Schneider Electric, to bring students the career fair. “Powering the Future” is a not-for-credit, graduate level seminar sponsored by Edison International in which clean technology C-level executives lead weekly discussions on current trends in electricity markets. 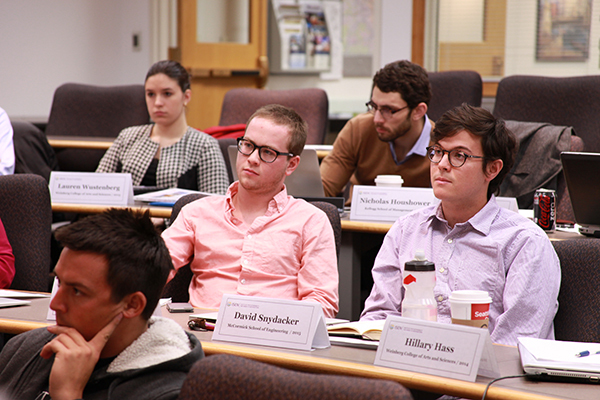 Students not only gain an understanding from industry professionals of the role of technology, finance, and public policy in energy markets, but they also have access to leaders in the field, providing a unique professional development opportunity. ISEN staff is always available to students to provide guidance and suggestions on career opportunities in the sustainability and energy fields.